You’ve been searching long and hard for a gift that will show how much you appreciate your employees and clients. But you’re more than a bit concerned that it might be viewed as dull or trite. You could buy a gourmet gift basket, but what if they have dietary restrictions? And a bottle of scotch wouldn’t go down particularly well with the teetotalers. Remember that a holiday gift is a gesture of your appreciation. It doesn’t have to be expensive to make a significant impact. The holiday season is the time of year where the thought really does count. 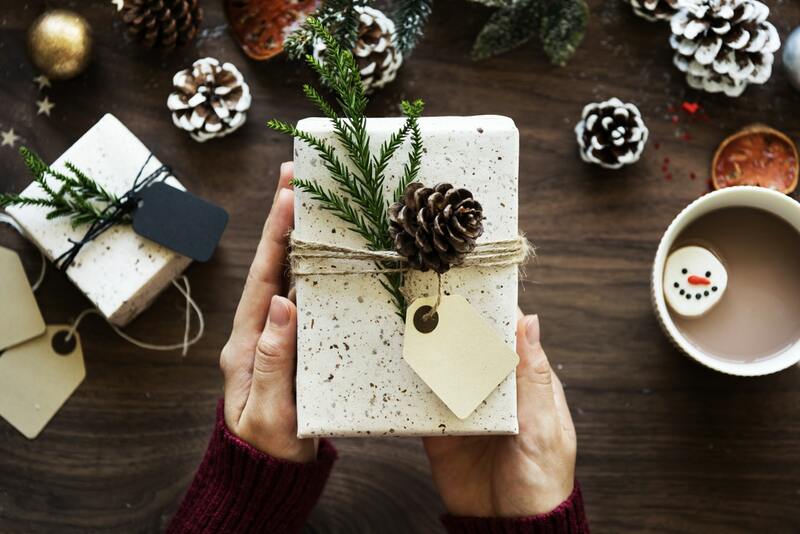 Here are our top out of the box holiday gift ideas that will show you care without blowing your budget. With the added expenses during the holiday season, grocery or department store gift cards are very welcome by many. It allows your employees to purchase a few luxury items without blowing their budget. It could be a massive hit with the clients and could keep them in biscuits and coffee the entire year. Or if you would prefer to be more generic, you could opt for a personalized visa card. There are so many great gift subscription boxes at the moment, and it is truly a wonderful idea as it keeps on coming throughout the year. Consider a monthly tea or coffee box – something that will be used and appreciated rather than an item that just sits in the corner gathering dust. Even candy or cookies make a delightful and fun treat as an employee or client gift. There is no confusing their coffee mugs if your team has their very own personalized versions to drink out of. It will avoid the dreaded mug mix up, and you can always bundle it together with another gift if you intend to make a big impression. It is definitely a great place to start for those on a small budget. Giving the gift of charity is a fantastic thing to do. It encourages people to give graciously to others, even if it is not their own money they’re spending. And you don’t have to pay a lot for your employees or clients to make a difference in someone’s life. You can choose from well-respected charities such as Kiva which refunds the money to be lent again, or opt for a one-time purchase from Oxfam. While flowers seem to be a standard gift during the holiday season and do make a lovely gesture, they don’t tend to last very long. A plant is a generous gesture for eco-friendly companies and will show your appreciation in spades. You can even go so far as to personalize the planter if it is a corporate gift. From cacti to succulents, there are many companies that offer the gift of plants during the holiday season. I am hard pressed to imagine anyone not enjoying cupcakes unless they are gluten intolerant and even then, they can still be sourced for the holiday season. Traditional cupcakes or even macarons can be FedExed all across the country to arrive safely at your intended destination. Or if you are after something a little bit special, Wicked Good Cupcakes ships cupcakes in a jar. Being concerned about your employees’ health and well-being is admirable, and there is no better way to show that than with a Fitbit. It helps your employers focus on their exercise levels and puts their work-life balance at the forefront of their mind. It’s non-traditional and can advise them on their sleep patterns and movements throughout the day. Most workplaces tend to get a bad rap for unhealthy snacks such as donuts and other carb-laden goodies. So why not give the gift of a healthy snack such as a box of goodies from Snack Nation or Urthbox. Your clients and employees will love it, and if they choose to continue to use the company’s service, then it is entirely up to them. Giving a gift of an event is always well received, provided it is something that everyone enjoys doing. Rather than paintballing or rock climbing, consider giving out cinema tickets so your employees and clients can catch all the best releases on their own time. Many have executive seating and in-house menu service, so check out the cinemas close to you to see what is available. If you are in a major city with events happening all the time, you can buy a gift card from a site such as TicketMaster, and they can choose what kind of concert or show they see for themselves.